Brenda’s media career has been long-standing and consistent. Over the years she has extended her professional skills in television broadcasting, radio and print journalism. She is currently BBC London News’ Art, Culture and Entertainment Correspondent - a role which allows her to combine creativity and journalism across television, radio and on-line output. 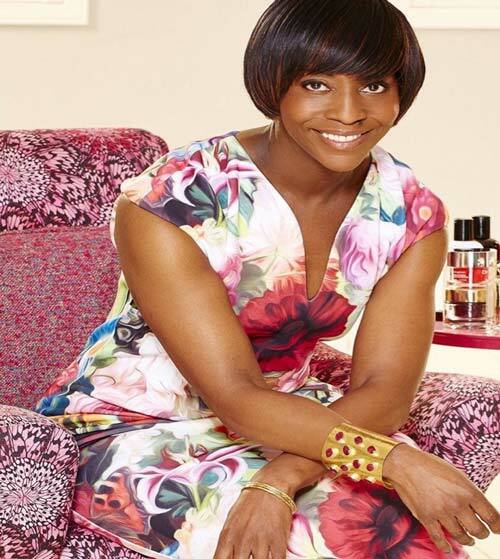 Brenda’s profile rose as one of the co-presenters on BBC One’s The Clothes Show, which she contributed to for five years. She has since fronted the interior design programme The Terrace, The Midweek National Lottery and features for Holiday - all on BBC One. She was also one of the main presenters on Healthy Holidays and Money Makeovers for Granada and Sky Television. As a regular face on ITV’s This Morning, Brenda teamed up with Richard Madely and Judy Finnigan as their fashion and entertainment expert. She is no stranger to radio having contributed to various broadcast outlets, presenting The Early Show live on BBC Radio Two, and as a frequent guest on Radio Five Live and Radio 4’s Women’s Hour. For several years Brenda fronted the youth magazine programme Megamix for BBC World Service, and a film and entertainment gossip slot for Choice FM radio. Previously an Arts and Features Editor for The Voice Newspaper, Brenda has also edited a specially commissioned magazine for International Women’s Month and been a facilitating judge for two anthologies commissioned by Penguin Books. She as also had several short stories published. As a freelance writer Brenda has contributed feature articles to Luxure, Pride, Cosmopolitan and Caribbean Eye magazines, as well as The Observer and New Nation newspapers.